Some clients call up asking to have a landing page, as they have heard how important these are to generate business online. But first of all, what is landing page? It is a web page that visitors and potential customers can land on because of an ad, internet search or email marketing campaign which direct to a specific page not only to your website’s homepage. When we set up a client’s SEO or AdWords campaign we link each ad to a landing page focus on a specific audience and product or service to target them directly. 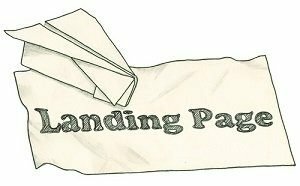 Once people have landed on one of your pages, it will give you more chances to convert the visitor into a prospect or client. 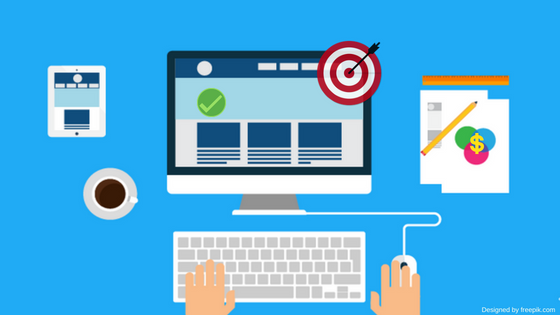 A well-designed landing page will focus on objective to a specific potential customer to target them directly, offering them something valuable and driving traffic to your website to a specific product or service that you offer. Each site needs to be optimised to have specific pages for each of your products and services. An alternative to having a page dedicated to each product is to have a blog post dedicated to each service. Blogging is an effective tool for generating organic search results if you know how to set up your post correctly. Your blog post pages should also have an enquiry form with all your contact details visible. This way visitors do not need to navigate away from the page they have landed on to contact you. The less barriers of communication and contact the better. 96% of first time visitors of your website aren’t ready to buy, by saying that homepage is important to grab customer attention but it doesn’t encourage them take some action. On the other hand, setting an ad with a well-planned, optimised lading page with a specific purpose will do. With a clear call to action message can help visitor make a decision. Setting up an online campaign like AdWords is costly and if you aren’t sending your customer to a landing page linked to a specific ad, you will not have the result expected. We hope this helps you make a better decision when planning out your website and online marketing. If you have any questions about this article feel free to call us today on 02 99073136.